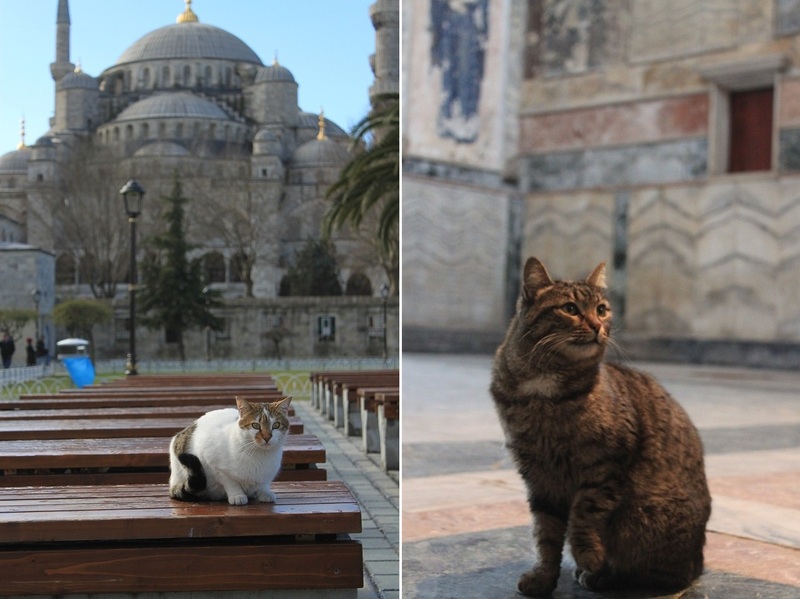 Istanbul: A Feline’s Paradise | What an Amazing World! As I wander around the neighborhood of Beyoğlu, I point my camera and snap some pictures of the magnificent Galata Tower, then I spot a cat. I come closer, caress him until he purrs and seems really content, then I move back to the tower, before spotting another cat. 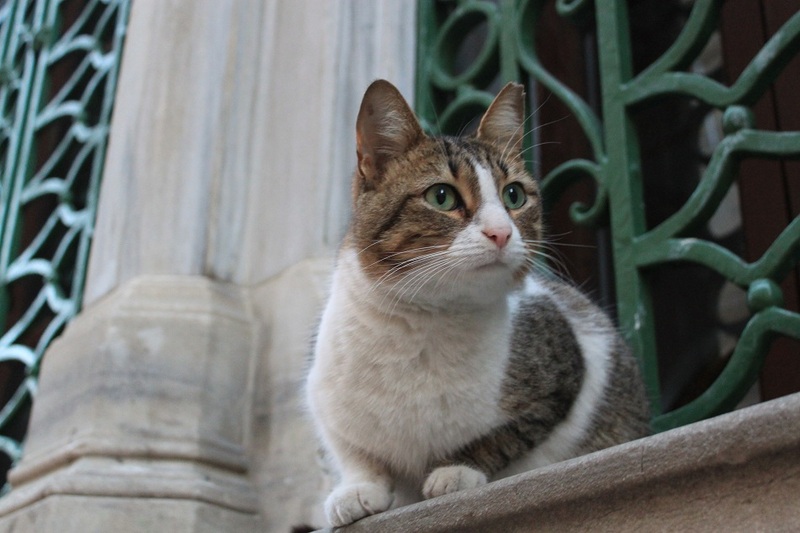 I cross the Bosphorus to set foot on Asia, marveling the view of Seraglio Point where the minarets of Hagia Sophia and the Blue Mosque seem to pierce the sky, then I see a cat. I reach her and give some strokes on her back and neck. She seems to relish every single touch, constantly purring until I continue walking. Legend has it that one day Muhammad awoke to the sound of adhan, the Islamic call for prayer. When he was getting ready to dress himself, he found his cat – Muezza – sleeping on his robe. Instead of waking her up, he chose to cut his robe and leave a patch on which Muezza was sleeping. 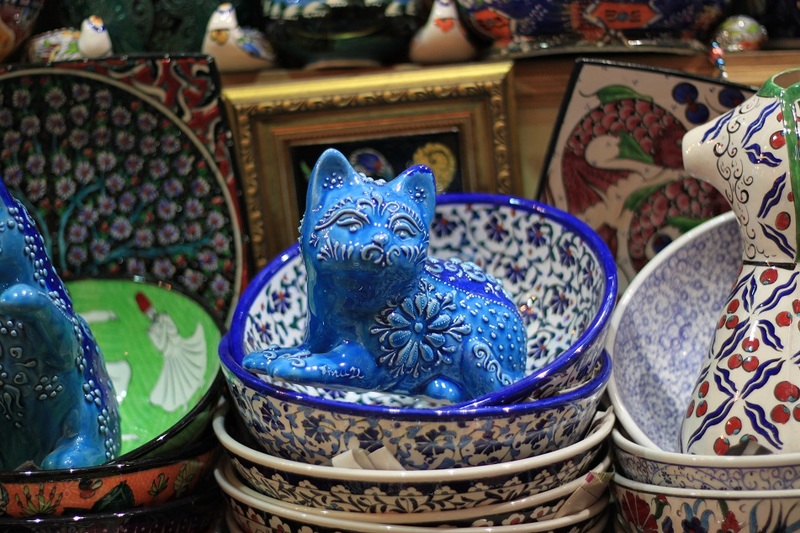 Although there is no clear evidence of the story nor a reference on cat as a special animal in Islam, but many Muslims pass the story on over generations and across continents – Istanbul is no exception. Despite staunchly secular, many Islamic traditions are still carried on and practiced by modern Turkish people. As the tradition dictates, cats generally receive better treatment than other animals. 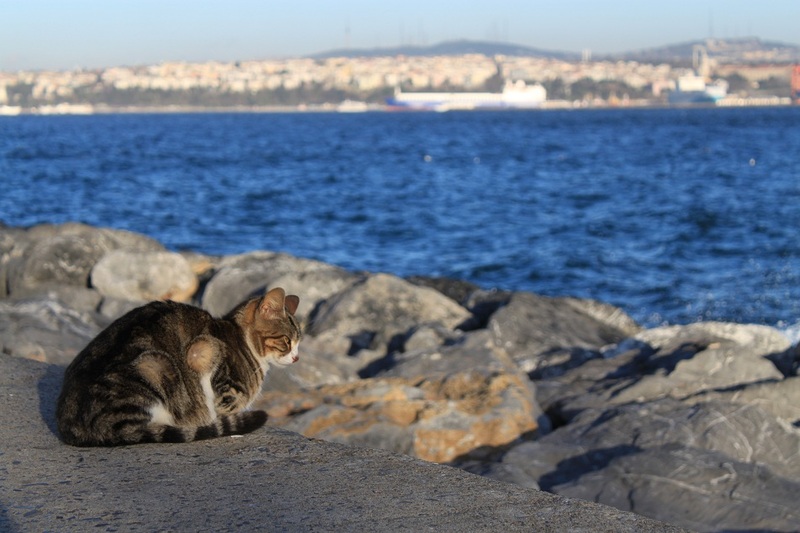 It is not hard to find well-fed clean cats in Istanbul – touristy places, cobblestone alleys, seaside walkways, parks benches are some of the places where cats are easily found. Sitting on a bench at the other side of Seraglio Point, next to Kennedy Avenue, I take my time to breathe the fresh air from the Sea of Marmara. The sun is setting and a cornucopia of stray cats are foraging for food. 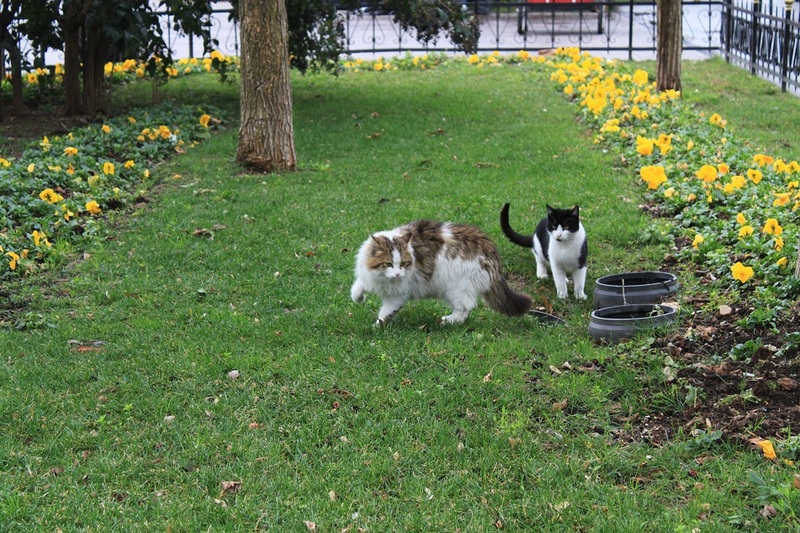 In this part of the city the felines are less fortunate than their counterparts in Sultanahmet area, albeit slightly. However none of them looks skinny – a molly even nurtures her spry kittens between the rocks on the shore. A fierce-looking man stands on his big motorbike. His leather jacket and shabby bandanna attest his stern look. Just before he rides his iron horse, he grabs a small portion of food from nearby hawker. He then lowers his hand and feed the cats. 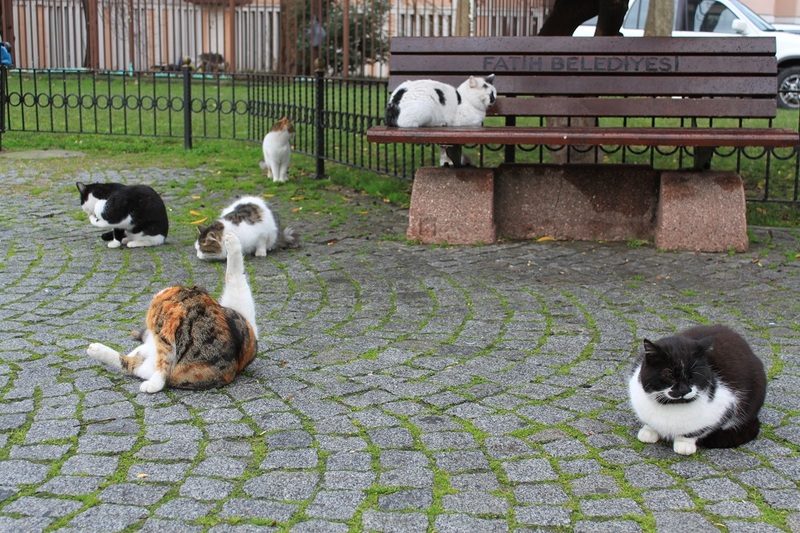 This is Istanbul, where cats are special. Honestly I have no idea what “ginuk-ginuk” means. 😛 But I’m assuming it has something to do with cuteness or such. So yes, it’s hard not to fall in love with them. What a cool post! Love the photos! Thanks Alyssa! Since you love European castles I think Istanbul should be on your list! 🙂 The cats are nice additions to the already beautiful city. Remind me that to get a bigger backpack for October so I can smuggle some of them home. AAaagh, so cute!! Hahaha, yea I think you should. Cuteness all over the city! 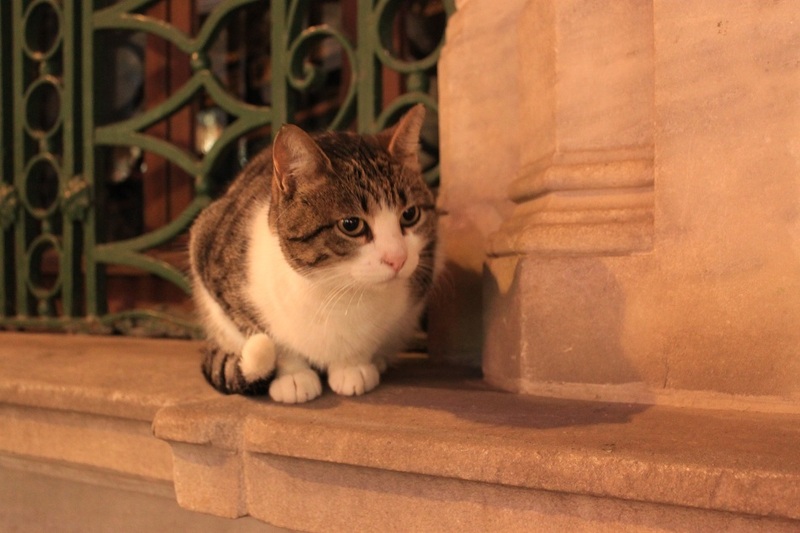 About the cat’s in Istanbul, by Bama…. Interesting! Wondering if some of these cats have ‘masters’. And the first comment ever from you. I can see why 🙂 One day you have to make your way to Istanbul. Those cats are absolutely adorable! Thanks for dropping by Tra! I love the story of Muezza. Funny thing is when I was in Istanbul I never saw any cats!!! Wow, that’s really bizarre! I thought it would be effortless to spot a cat in Istanbul. Yeah…I am looking back at my pictures right now to see how can I miss it…so bizarre. Then again I went over 10 years ago!!! Very original post. Loved it! Thanks Jodi! Actually I was inspired by a well-known blogger who visited Istanbul much earlier than me. 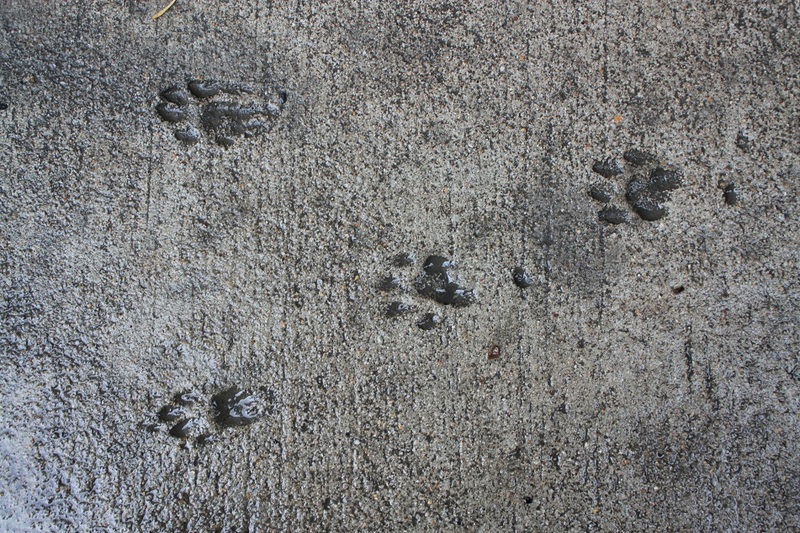 She wrote about the cats and that made me even more curious of the city. I love the story of Muezza!! :-). 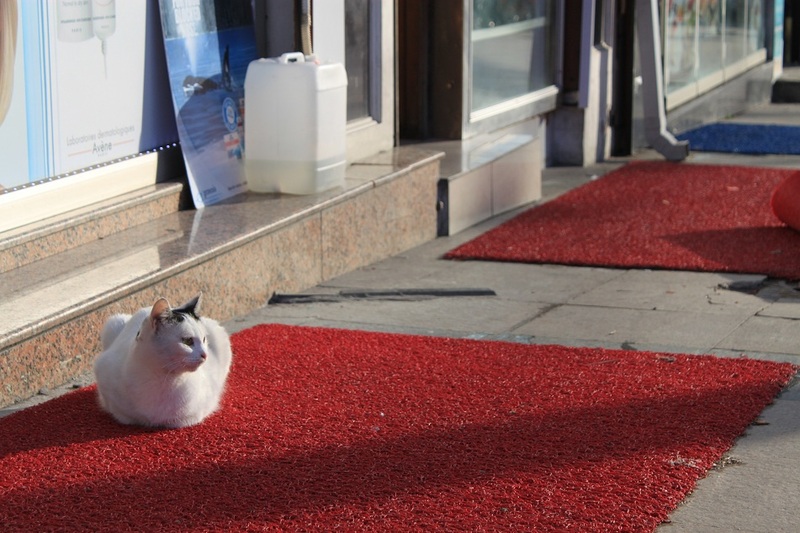 The cats are everywhere in the Middle East and they are just so, so amazing. They just belong there. However, its sad to see the poor suffering and hungry, thirsty Egyptian cats (they used to be worshipped once upon the time!!) and also I saw a lot of sick, dying cats in Meknes, Maroko. It breaks my heart. I love them. Hi Katka! I didn’t know that there are a lot of malnourished cats in Egypt considering how it was once worshiped, as you said. But probably it’s also because of the hardship the country is undergoing now. There was one time when I saw pictures of slain cats in Mali, and that really broke my heart. However it won’t stop me from visiting the country one day, given the circumstances would allow me. Not a fan of cat but started living with one here in my new home, so they are kinda cute aren’t they?! Love the pictures! Hi Aggy! So are you more of a dog person? Well, as now you have a cat your love to your cat might grow over time. 🙂 Thanks for dropping by! wonderful! I love cats and these pictures are fantastic! Vielen dank Julie! Have you been to Istanbul before? If you haven’t, you definitely need to put it on your list. 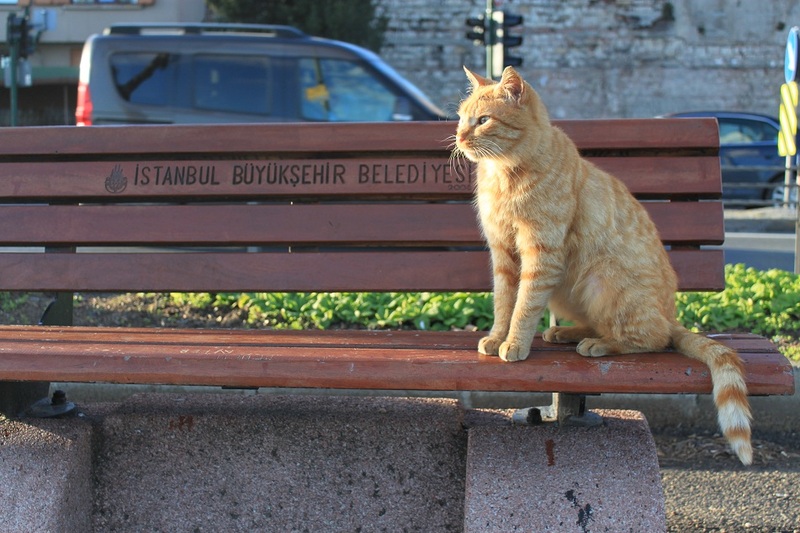 Love your pics and Istanbul truly is run by cats! It was one of the (many) things that stood out to me and endeared me to loving the city! The cats have so much attitude as well, they know they run the place. http://ajumbleofletters.com/2012/08/11/istanbul/ if you scroll down you will be able to see the shot I took of one cat chilling out on a motorbike! just awesome! 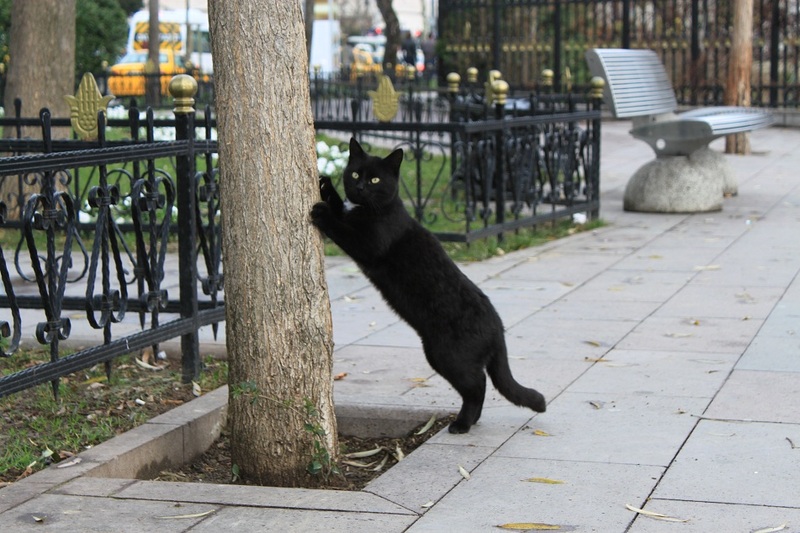 Hi Bama, you know I heard several people talking about the ubiquitous cats in Istanbul. Not sure if they ust proliferated the last few years. I don’t’ recall seing a single one when I was there in 1999! Anyway, they look so adorable fin your lovely shots. Oh really? Maybe they did, because apparently some people didn’t notice such many cats back then when they visited Istanbul. Thanks Marisol! Actually most of them are quite tame and it’s easy to put your hands on them. They surely look well-fed. you should consider Indonesia… you will find that our land is a paradise!! it’s true, dude.. Being an Indonesian myself I haven’t seen much of the country. But within a few years’ time I’m planning to set foot on more places in the country, especially in the east. Cute post! I wish the strays in Singapore looked that healthy! Thanks Mavis! When I returned to Jakarta I felt bad for the stray cats as well. They look so malnourished compared to the ones in Istanbul. And cats from different parts of the World have different faces, different looks. 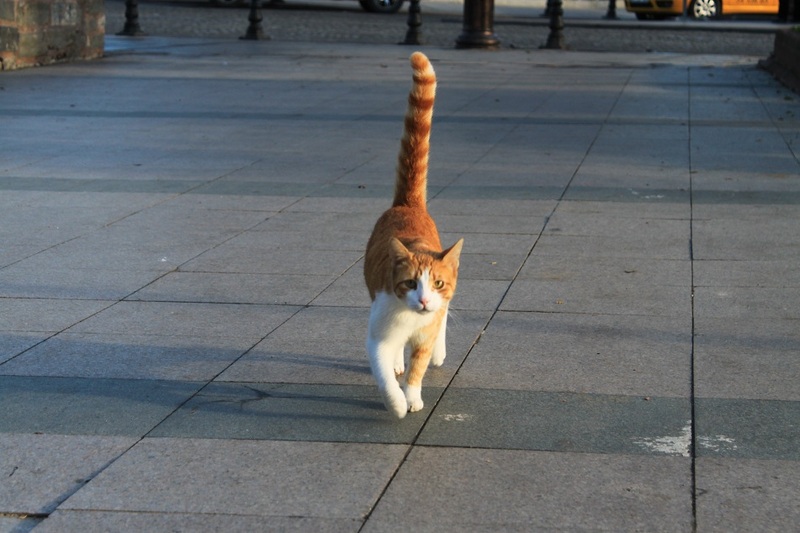 I really loved the cats in Istanbul as they had such thick fur, and to my surprise most of them looked quite clean. Such a different take on the Istanbul city..else one only hears about Grand bazaar, SultanAhmet history etc. A very neat way to blend the street cats with the porcelain ware, very interesting indeed. I’ve been to this city and captured the market scene on my blog. Hi Veena. 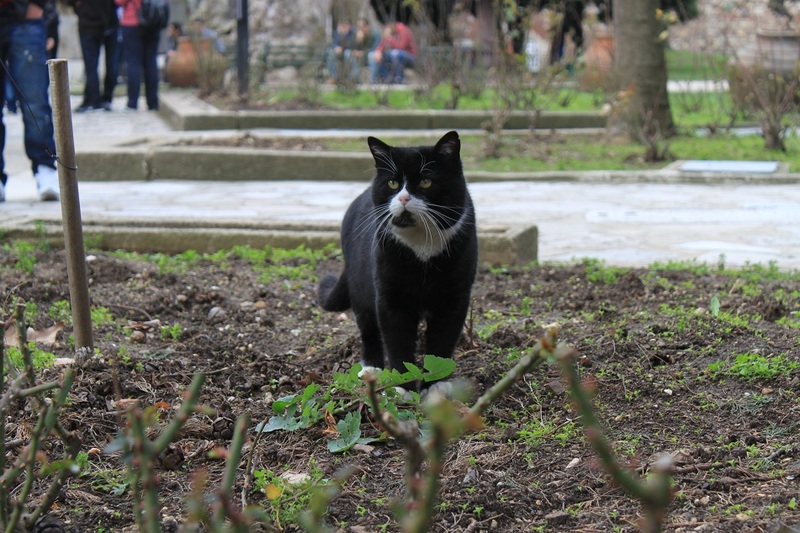 For a cat lover like me, Istanbul was a perfect place to travel. To go there without taking photos of those fluffy cats would have been a sin for me. 🙂 Thank you for your thoughtful comment! I am currently in Turkey and noticing the huge amounts of adorable but seemingly street cats. Most friendly, I have been stopping for quick cuddles between monuments!! I love how well they are treated with food and water and have also heard the story with the robe. Hi Sofie. Istanbulites clearly treat their cats very well. I recommend all cat lovers to visit the city just because. 🙂 However from the blogs that I read apparently the Greeks also share the same love for cats.